Fast Repairs & Free Quotes, all at Prices that Suit Your Budget! As a family-owned business, Boise Valley plumbing understand the needs of homeowners in Boise, Idaho. We know that when a homeowner call for a plumber near them, they want a local plumbing company who can provide immediate information and service. As a local Treasure Valley plumbing company, we understand the affect age, weather, water conditions and location can have on the overall effectiveness of your plumbing and gas systems. 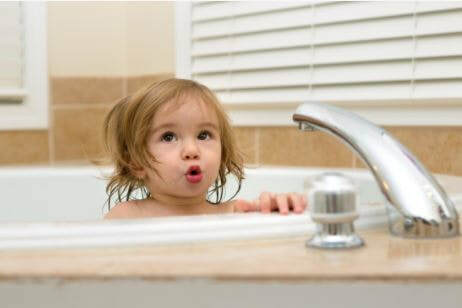 Our plumbing specialists are experienced in a wide range of plumbing services, including water and gas piping and re-piping, tank and tankless water heaters, water conditioners, water purifiers, and circulating systems. As well as, kitchen and bathroom remodeling and new construction plumbing system design, boiler systems, leak detection, fixtures and all standard plumbing services. We pride ourselves on our quick response, competitive up-front pricing and green, environmentally friendly practices. We also have 100% financing options. Most people don't think about their plumbing until there is a problem. When the shower doesn't heat up or suddenly water is leaking into the carpet, homeowners realize how important it is to have a healthy plumbing system. The rhythm of a water system is the quiet hum that keeps life running smoothly. Toilets flush. Showers are hot. Water flows quickly down the drain and out to the sewers.We take our water for granted, until something goes wrong. Then, schedules are disrupted, and the fear of an unexpected expense suddenly looms in the future. When hot water heaters do not work, or drains are clogged BV plumbers will respond quickly. From backed up sewers to clogged sinks, we can handle your plumbing needs. Schedule a Master Plumber Now! Give Me My Quote Now! ​Other areas such as water mains, water pressure, running toilets, and small leaks or drips are often ignored as long as possible. The delay can cause a simple repair to compound into a larger repair, sometimes with collateral damage, like damaged carpet and walls. Annual or semi-annual visits from your local plumber gives you an opportunity to have all the small concerns checked and repaired. It is also a great time to have the hot water heater flushed and the hardness of your water checked. All our emergency plumbers are fully qualified, insured, experienced and reliable. Having a water heater that is the correct size and is working properly prevents cold showers and other disappointments. Yearly maintenance can extend the life of your water heater. But all water heaters eventually fail. Choosing the correct type, size and model can be confusing. Too small and you will run out of hot water. Too large and you are wasting money heating unnecessary amounts of water. Tankless are convenient because they fit everywhere, but selecting how many you need requires some serious math. Gas and electric water heaters also have pros and cons. Our plumbers have the experience to answer your questions as you make the best choice. 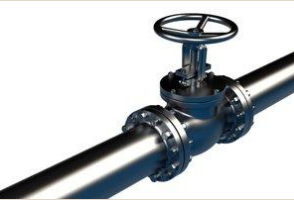 Leak Detection and Repair-Find and fix gas leaks in gas lines, pipes, fittings, valves and other gas components. Gas Supply System Plumbing- repairing and installing new or replacement gas lines, supply lines, gas valves, and other plumbing components for gas appliances, BBQ grills, swimming pool heaters, fire pits, outdoor kitchens, mood lighting, spa heaters and other appliances. ​Gas Line Maintenance-an annual program that finds and fixes problems before they become problems, including the pilot light. Some clogs, like those located beyond the reach of an auger, or those caused by the overgrowth of roots from nearby trees into the sewer line require a special solution. Hydrojetting uses water sent through the pipes under up to 4,000 pounds per square inch of pressure to blast away any built-up clogs and tree roots and wash away the debris, leaving behind clean and unobstructed drain pipes. Most people, when considering a bathroom renovation, want to create a spa-like oasis within their home where the stresses and worries of daily life can melt away. They picture a space where function and style meet to deliver comfort and luxury. The team at BV Plumbing can work with you and your designer or contractor to help you achieve your vision on time and on budget. 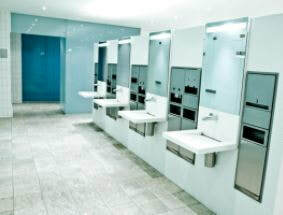 We make sure all your choices work with your existing plumbing system and install everything according to code. There can be several reasons that have led you to decide to renovate your kitchen. It may be with a view to increase the property value of your home before putting it on the market. Or perhaps it’s to give it a fresh and current look, or because some of the fixtures are beginning to age and appear damaged. No matter what your motivation may be, we are just the right experts to help you accomplish the results you are looking for. A leak in your plumbing system can cause a great deal of damage to your home and your belongings. The water can weaken the structure of your home, warp floors and walls and ruin furniture and other belongings. The dampness can also lead to the growth of harmful mold and bacteria. Often times, when a leak occurs, the source is readily evident. Either one can see the rushing water or hear its sound. Smaller leaks, however, can be more insidious. The water hidden inside your walls or ceiling can travel a great distance before it becomes evident, making it difficult to know where the problem lies. An experienced plumber can quickly identify and repair the source of your leak. ​It is vital to have your septic tank, waste water system and drains installed professionally to avoid contamination of your drinking water. BV Plumbing installs and repairs waste water systems, septic tanks and realm drains as well as general drains quickly and professionally. Most Americans have access to drinking water, but just because water comes out of the faucet, doesn’t necessarily mean that it is as clean as it can be. The quality and taste of your water is affected by the city and also by the specific location of your home or business. All living things need water to survive, our bodies are made up of more than 75% water. ​Clean water is essential for good health! For homes which have hard water, a water softener system can really help take the edge off the water from your tap. Hard water will cause calcium build up and decrease the efficiency and longevity of your appliances. 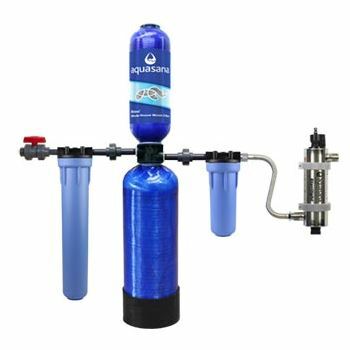 To improve the taste of your water and to remove all impurities reverse osmosis systems are effective in removing water contaminants, it is safe to use, and it is super easy to maintain. We would be happy to analyze your water and answer any concerns you may have about your tap water's quality and taste. We can suggest products that may help you achieve the perfect water for your needs. Would you like to avoid thousands of dollars of structural damage to your home’s walls and framing? Be proactive about replacing old pipes to prevent failure, leaking, and bursting. offers copper, PEX, CPVC, and PVC repiping services Boise residents trust to restore safety to their home’s plumbing. ​The expert plumbers at Boise Valley Plumbing will inspect your home’s plumbing, make plans and recommendations for the best repiping options for your home, and thoroughly explain every step of the repiping process. Repiping your home will protect the structural integrity of your home and fix annoyances like low water pressure and unpleasant discoloration. Older homes may have galvanized and polybutylene pipes. Neither galvanized and polybutylene pipes meet modern plumbing codes, so they should be replaced. A leaking or broken water line is a serious problem that needs immediate attention by a plumbing professional. A leaking water line will not only waste water and increase your water bills, but the water can cause erosion around your foundation and under driveways and sidewalks. The water can leak into your basement or crawlspace and contribute to the growth of mold and mildew. 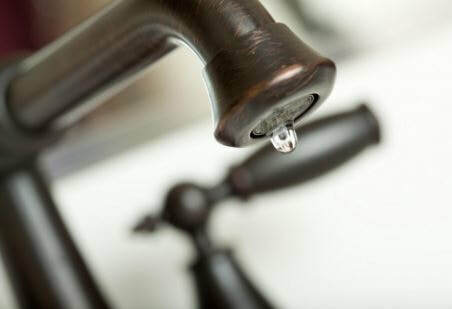 A leaking water line will usually get worse quickly so call us for expert plumbing services including water line repairs at the first sign of trouble. ​Signs of a broken water line include a soft or wet spot in the yard that never dries and unusually high water bills. Depending on the type of pipe and the nature of the leak or break, your BV Plumber will review your options with you. Boise Valley Plumbing is a fully licensed boiler installation, repair, and maintenance contractor. Whether you need a fast repair on your existing boiler, or you’re interested in upgrading to new a top-of-the-line boiler for your home or business, our master plumbers are available 24/7 to assist you. Modern boiler systems are highly efficient and can handle both supplying your hot water and heating your home or business. Contact us today to schedule a free in-home estimate or to learn more about the many benefits of upgrading your system. Best Plumbers in Meridian, Caldwell, Eagle, Nampa and the surrounding area. Call us for all your plumbing needs.